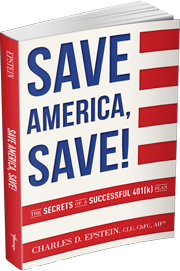 This calculator is your first step toward securing your financial future. It will calculate two critical expenses. It will first calculate all of your retirement (desirement) expenses, and second, it will create your financial mechanism to cover these expenses long after your paycheck has stopped. When you bought your house, did you pay with a big bag of cash? You took out a mortgage. You calculated how much you could afford to pay each month over 30 years, found the lowest interest rate you could and began diligently making your payments. Once you have your desirement number and have calculated your monthly payments, you must diligently make your payments each month until you retire. 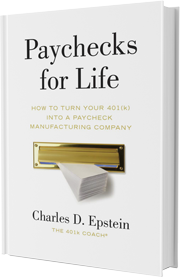 In the book Paychecks for Life you'll see how, by leveraging OPM (Other People’s Money) and the power of compound interest, you'll be building your very own Paycheck Manufacturing Company – and why it will be worth much, much more than simply the total of your monthly contributions by the time you retire. Retirement has been defined as: "to put out of use." Is that how you think about your retirement? Let’s call it what it really is – your desirement. The time for the THINGS that you DESIRE to do in life, that you’re passionate about… that you’ve promised yourself you’ll do… "SOME DAY".